Can you help me test my new Firefox extension WhoAmI? I’ve been using the Firefox Profile Manager for some time now, but recently I learned how to run several instances of Firefox. There have been several posts about this, like this one, to help mitigate Google account vulnerabilities. But sometimes I forget which profile I’m running, until I developed my WhoAmI? extension. You can download it here. 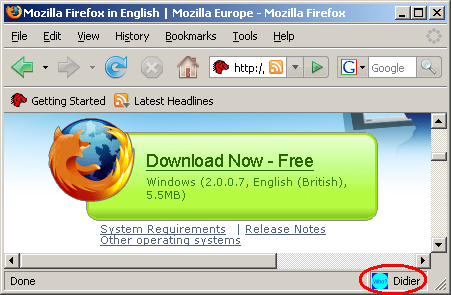 It is also in Mozilla Add-ons site’s sandbox. Please report your test results back to me (OS & FF version), it will help me to get my extension out of the sandbox and into the public part of the Mozilla site.